... The best that lies within each one of us. Our purpose is to awaken the best that lies within each one of us. A country’s culture is its “collective personality”. It reflects what its citizens value; what they think is good, fair or right; it reflects the laws and rules accepted by all; and the attitudes and behaviors they have towards each other. A society’s progress is closely related to the performance of its institutions. The proper functioning of these institutions is based on the beliefs, behaviors, attitudes and values of the members of this society. 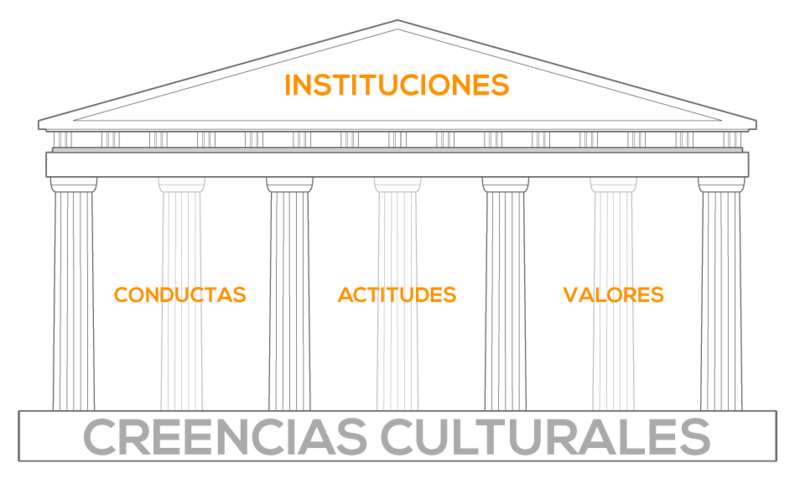 Culture is the mother, institutions are the children. Our institutions are a reflection of our collective beliefs. we keep using the same mindset that generated them. by transforming the only thing we can change: our behaviors, attitudes and values.